Rampant staph infections continue to cost lives unnecessarily. One powerful weapon to fight this scourge is being successfully deployed by China's military: industrial hemp. 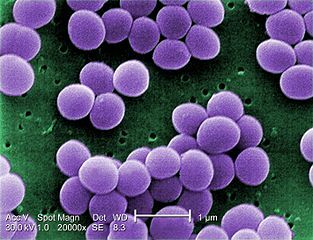 Staph is spread by direct contact and by touching items that are contaminated such as towels, sheets, privacy curtains, and clothing. As noted by the San Francisco Chronicle, “It is estimated that each year 2 million Americans become infected during hospital stays, and at least 90,000 of them die. MRSA (an antibiotic resistant strain of staph) is a leading cause of hospital-borne infections.” One of the most important recent discoveries is hemp’s ability to kill surface bacteria, while cotton, polyester, and polyethelyne allow it to remain on their surfaces for up to months at a time. Unknown to many, hemp fabrics exist in today’s market that can replace each of these transmission prone hospital items. In addition to staph resistance, other tests show hemp fabrics superior resistance to UV and infrared wavelengths, providing multiple applications for military use. For infrared testing, the same hemp blend was analyzed resulting in a test result of 0.893, or nearly 90% resistant. Different blended fabrics have the potential to increase the percentage of this initial test, especially fabrics with a higher percentage of hemp. Many of hemp’s applications will benefit our military, and hemp fabrics have recently been approved by the USDA as Federally Preferred for Procurement under their BioPreferred Program.